Each finely appointed one- and two-bedroom suite features a fully equipped kitchen, spacious living room and separate bedroom(s). Each morning, wake up to our Fireside Breakfast, where you'll find delicious omelets, maple sausage, bacon, pancakes, and healthy options including a yogurt bar, an oatmeal bar with fresh fruit, nuts and much more. Each weeknight, wind down after a long day at our popular Fireside Reception, with a selection of domestic and local craft Beers and Wines, paired with a delicious meal. Other featured amenities include WIFI, Exercise Facility, Fire Pit & Barbeque Courtyard and indoor Swimming Pool & Jacuzzi. All of these premium amenities and services are included for no additional charge. There is simply no hotel in the greater Burlington area that offers a better value for guests looking for a truly enjoyable long-term stay. Don't be deceived by so-called 'all-suite' hotels that offer 'studio' suites which are essentially standard hotel rooms with a kitchenette while offering little more than 'snacks' and cheap beer during their reception. 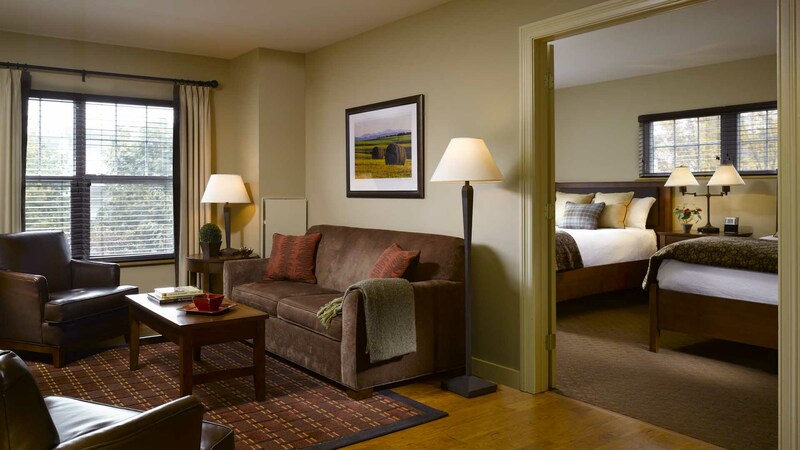 At Green Mountain Suites Hotel, we continue to work tirelessly to deliver on our promise of offering a truly authentic Vermont lodging experience. Don't just take our word for it, visit tripadvisor.com and see for yourself why guests choose Green Mountain Suites Hotel time and time again. Kitchens equipped with microwave oven, full-size refrigerator, dishwasher, twin-burner cook top, cookware and tableware. We have a limited number of suites with Ovens upon request.